What a change a week makes! With sudden temperature rises, we are actually seeing signs of spring poking through the melting mounds of snow. It is also school vacation this week, so instead of working on my planned post, there was a lot of this going on. 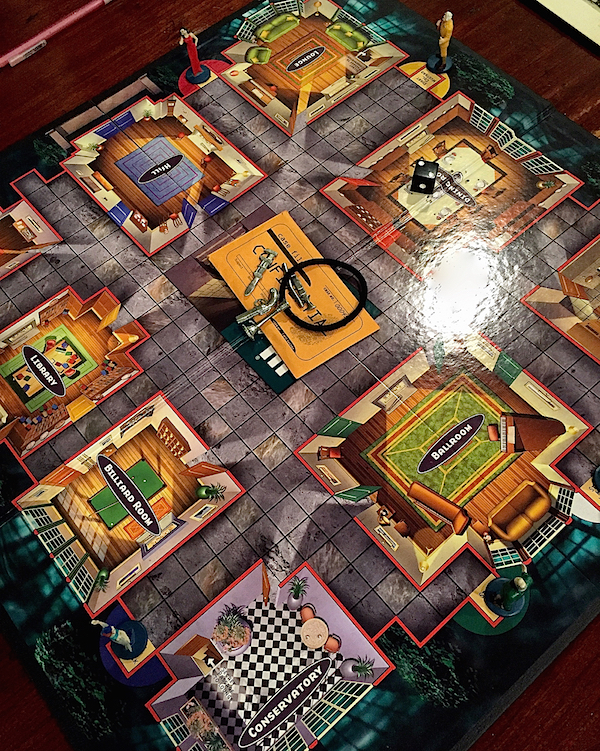 But nonetheless, there were other activities as well. Tuesday evening was the splendid gala for the New York School of Interior Design Benefit Dinner honoring Edmund Hollander (Thomas N. Armstrong III Award in Landscape Design), the New York Restoration Project (Green Design Award), John Rosselli and Bunny Williams (Albert Hadley Lifetime Achievement Award) as well as the school’s current exhibit, Celebrating Landmark Interiors. 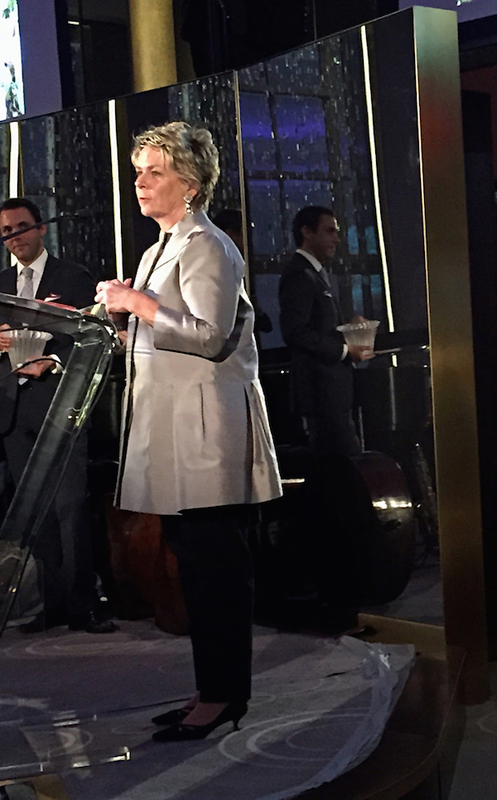 The well attended who’s who in the world of design was appropriately held at the newly renovated glamorous Rainbow Room, itself of landmark status. I was delighted to sit with trustee and dinner co-chairman Betsey Ruprecht, who presented Bunny with her well deserved award. 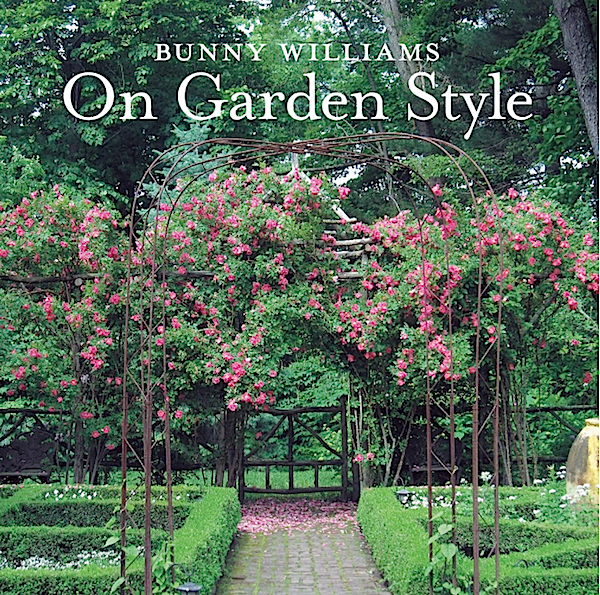 Among Bunny’s many upcoming projects that I am looking forward to is an update of her classic On Garden Style, already offering us hope for signs of spring. 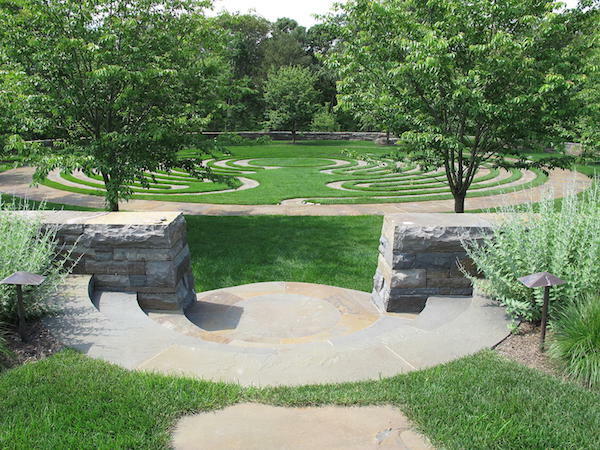 If you are by some chance not familiar with the work of landscape design honoree Edmund Hollander, be sure stop by his site for a special treat. His distinguished career includes many spectacular projects that will have you lusting for even more definitive signs of spring. And if you live in or near New York City, you should know about New York Restoration Project. 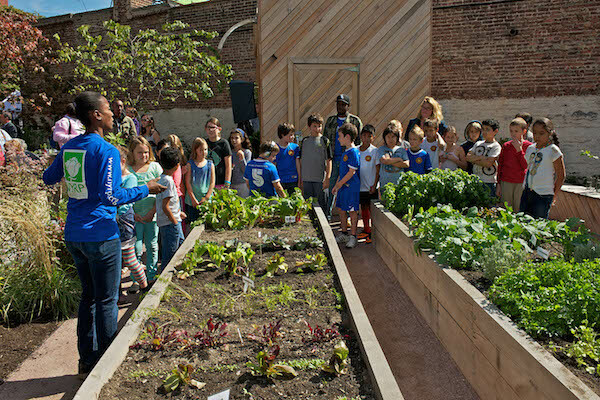 Founded by Bette Midler, it is a wonderful non-profit organization devoted to enhancing the quality of life in the city through planting trees, creating new and revitalizing their existing 52 community gardens and developing a new waterfront park in the upper reaches of Manhattan. With a special focus on communities of need, they offer many programs including cultural activities and environmental education. I knew little about this worthy organization and was duly impressed. And the week also included a shoot with my video partner in crime Susanna Salk at the gorgeous home of Nest Fragrances CEO Laura Slatkin. 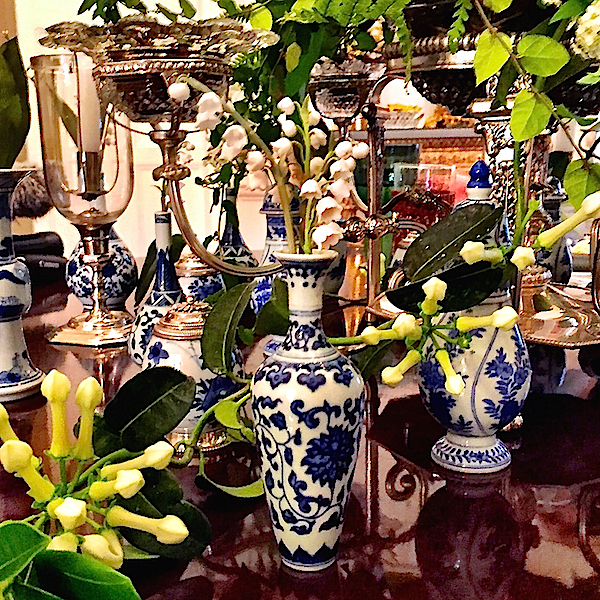 While these exquisite lilies of the valley on Laura’s beautiful luncheon table are actually the work of ceramic sculptor Vladimir Kanevsky, they offered a glimpse of spring to come. Look for our At Home with video coming very soon. And in the meantime, enjoy our new found warmth and hints of green! Spring IS on its way! 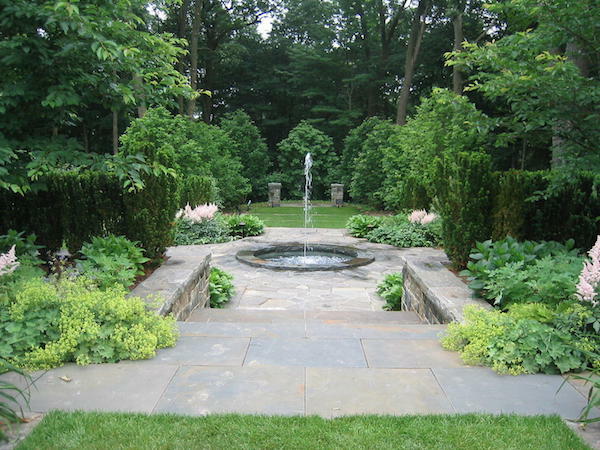 This entry posted in architecture, design, garden, interior design. 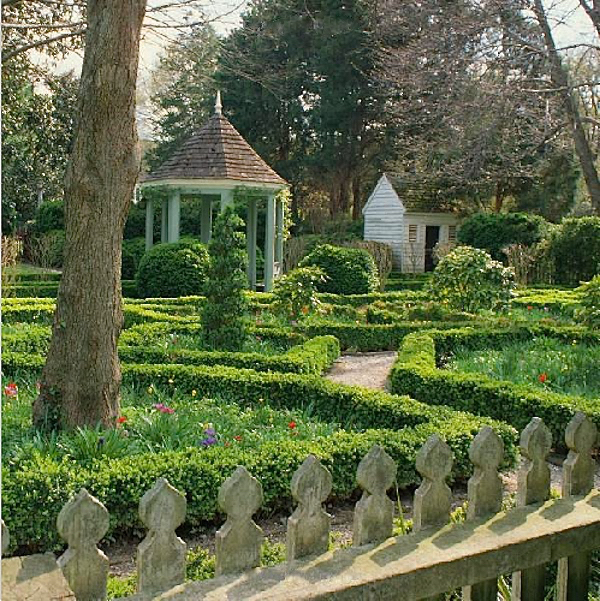 Entry Tags: Bunny Williams, Edmund Hollander, Gardens, interior design, John Rosselli, Landscape design, New York School of Interior Design Bookmark the permalink. Stacey you always have so many wonderful events to attend and doesn’t Bunny look fabulous! A much deserved award to her and John! I am also very excited about your upcoming video with The Slatkin’s with Susanna. 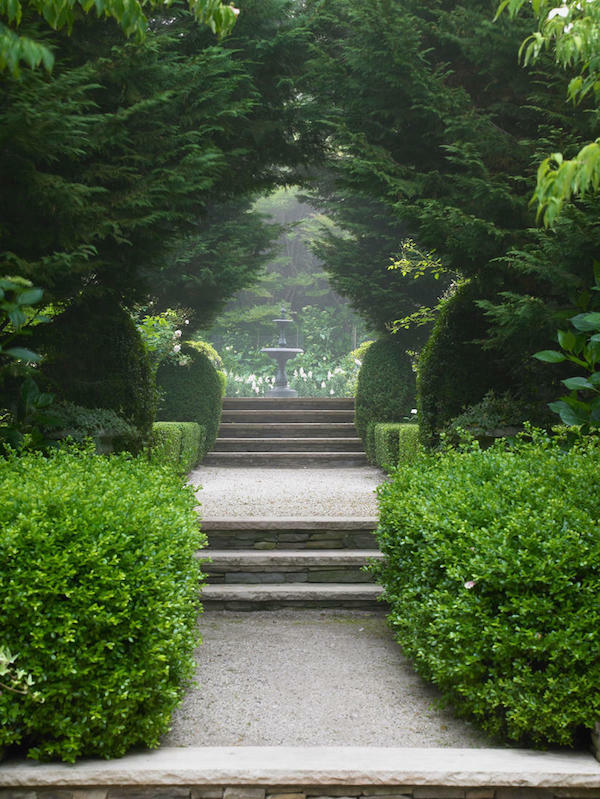 Those gardens are breathtaking and make us want the snow to melt even faster! It’s hard to image that all the white we saw this winter will soon be replaced with green and we can’t wait. Have a lovely weekend, Q! Yeah, I am so excited to hear about the home tour with Laura Slatkin! I look forward to it! 81 queries in 0.407 seconds.